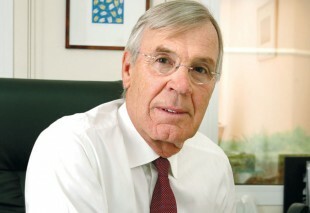 The Parker Company MD and partner for Europe, MEA Titus van der Werf. Founded 40 years ago in the US, procurement specialist The Parker Company first entered the Dubai market in 1996, during a time when the first landmark hotels began popping up across the emirate. Nearly a decade and a half later the firm continues to perform well, supplying a variety of hotels from luxury ‘seven-star’ resorts to budget hotels. Titus van der Werf, The Parker Company managing director and partner for Europe, Middle East and Africa, comments: “We came here to do procurement under a completely new philosophy. After completing its first four projects in Dubai, The Parker Company became an independent freezone company and began its expansion into other growing Gulf markets, including KSA, Kuwait and Qatar. The firm is divided into two segments: the furniture, fixtures and equipment (FF&E) division, and the operating, supplies and equipment (OS&E) division. There is a 60-40 split in favour of the FF&E division in regards to resources. As a global company Van der Werf says that the firm has a big reach supplemented by a state-of-the-art online data system that connects the Dubai office with the company’s other offices around the world. Van der Werf says that the biggest challenge during the global financial crisis has been maintaining service levels while the market restructures. “We did everything to maintain our staff levels and the challenge now is to adjust the organisation and the operation to a new situation,” he observes. The company is already working with budget hotel brands such as Ibis, Novotel and Pullman. As Van der Werf notes: “It’s beautiful to do the Armani Hotel in the Burj Khalifa, which took a lot of effort, but we should never forget that we can serve our four-star hotels at least as well and as efficiently”.